Go to the Open Library Bookworm. You will see that the creators have demonstrated how this tool can be used by inputting words. Clear the defaults by clicking the minus sign. Put a word into the search box that you would like to see graphed. 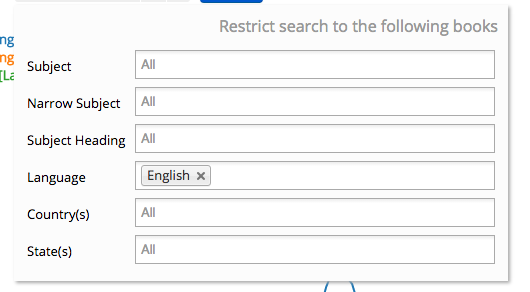 You can restrict the search by subject, narrow subject, subject heading, language, country, and state. You can add additional terms using the plus sign. 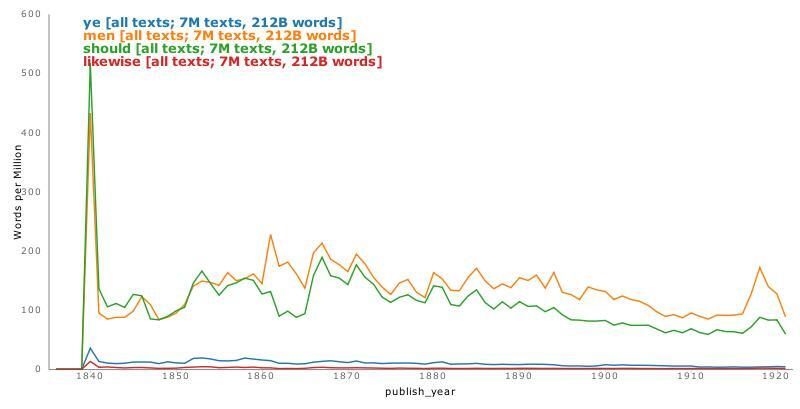 This is helpful if you want to comparatively examine multiple words on the same graph. When done inputting search terms, click search. A graph will appear. Be sure to check what exactly is being graphed on the X and Y axes. By clicking on the gear icon in the top right hand corner, you can further refine the graph by time (dropdown menu and chronology), quantity, case (sensitive or insensitive), and smoothing. 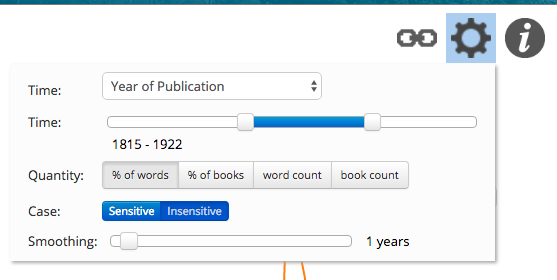 By hovering over the graph, you can select various points on the lines that will provide you with links to the texts that contain the words for which you searched. If you would like to share your graph, you can download it as a png, jpeg, pdf, or svg by clicking the download arrow. You can also link to it. 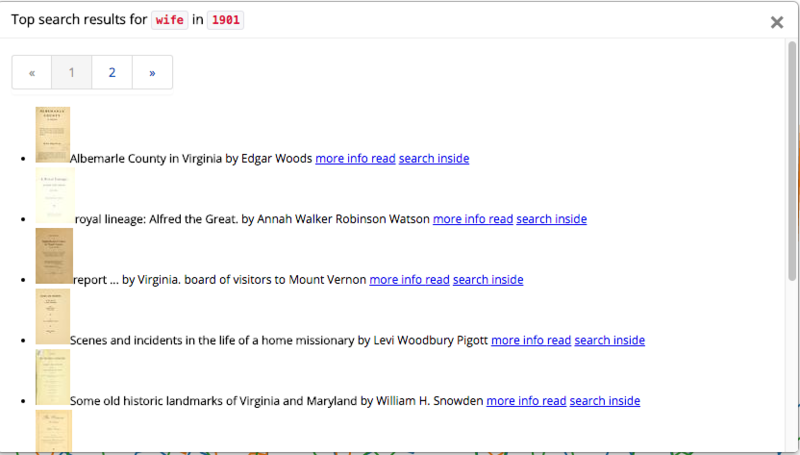 Go to Explore the Quotations on America’s Public Bible. Choose one of the suggested topics. I chose golden rule. Go to King James Bible Online to search for your selected Bible verse. I looked up Luke 6:31. Go to the Chronicling America Bookworm and input some words from the selected Bible verse. I used ye, men, should, and likewise. 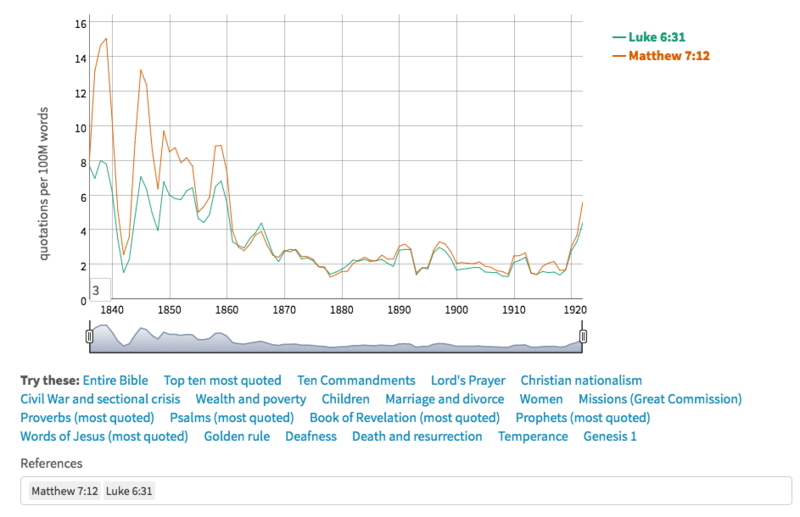 Compare the results from Bookworm to those on America’s Public Bible. Are they similar or different? Why?